Strong and durable steel frame. Lift handles are fitted with knuckle guards. Blue painted or galvanised steel finish. Steel mesh or slip resistant phenolic treads. Manoeuvrable 150mm rubber tyred wheels. Open rear allows through access onto docks, lorries etc. Made in UK.Made in UK. Stability is important while working at height, whether it's in a warehouse or a factory, it requires a lot of concentration and appropriate equipment to make it safe. Our tilt and push dock steps are a great addition for a workplace when employees are working at height. 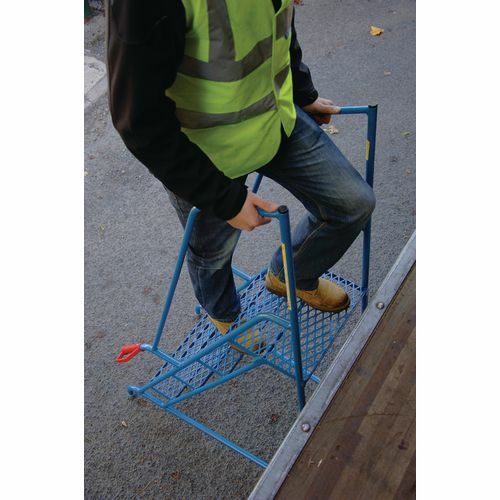 They have a strong a durable steel frame with an open rear which allows through access onto areas such as docks, lorries etc. 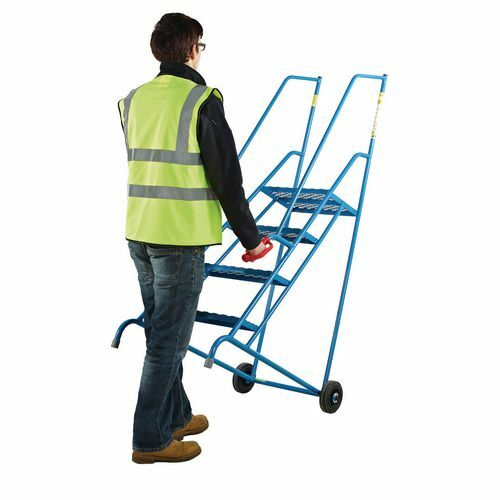 Approved to the European GS standard and certified to EN14183 you can be confident that these are quality ladders. 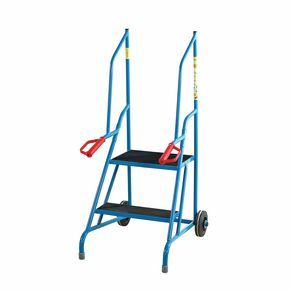 They are easy to move thanks to 150mm rubber tyred wheels and the lift handles are fitted with knuckle guards making them comfortable and assisting in manoeuvring the steps. There is a choice of finish and tread material; blue painted finish with steel mesh treads or slip resistant Phenolic treads, or galvanised steel finish with steel mesh treads. There are three sizes available; 500mm (2-tread), 750mm (3-tread) or 1000mm (4-tread). 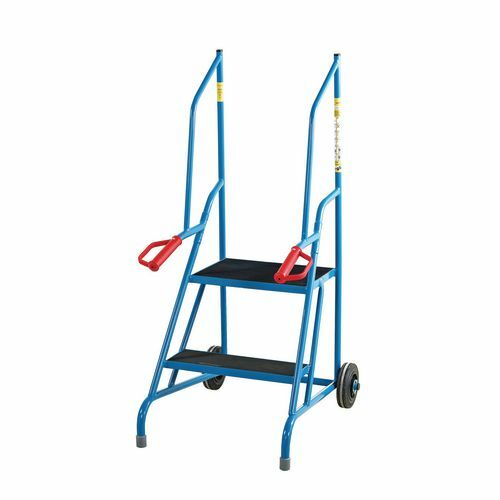 Our tilt and push dock steps are a great addition to help employees easily access high up areas and they come with FREE UK Delivery.